Someone once described an airplane to me as a "flying germ capsule." I didn't really get it until I noticed that I kept getting sick every time I got off a flight. Yes, my immune system is less-than-stellar, but if you think about it, flying on a plane means being trapped with everyone else's germs—gross. Aside from wearing a mask, here's one more tip to consider the next time you get on a plane: Wipe your tray table. According to an experiment by TravelMath, your tray table is the dirtiest part of the plane, "with 2,155 colony-forming bacteria." They collected and tested samples from four flights and five airports so we trust their judgment. And yes, this means that your tray table is actually grosser than the bathroom. WTF? Flight attendants confirmed this on a Reddit thread by revealing that they rarely sanitize the tray tables. 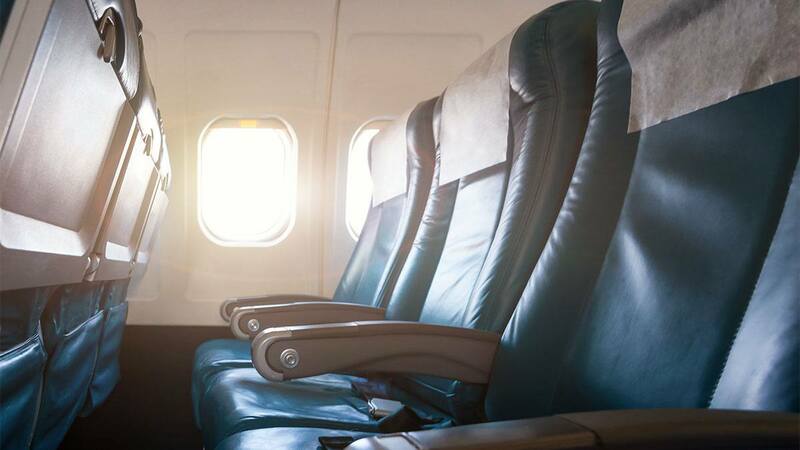 Can you count how many times you touch your table during a flight? And we don't just mean for meals—some people sleep on them! Be sure to thoroughly wipe yours down next time.